March 31 – April 7, 2019. 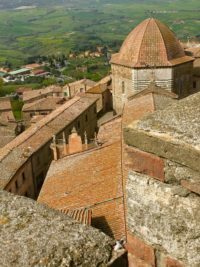 A week in VOLTERRA in the heart of the Tuscan mountains. 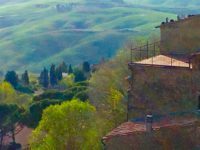 We will taste the Tuscan wines, cheeses and olive oil; visit the Etruscan Museum, the Tower of the City Hall, the ancient Archeological Park, amble through the 2000 year old Roman forum, stroll along the Medieval wall and visit the amazing Art Gallery. We also visit wonderful cosmopolitan SIENA and the Tuscan village of COLLE VAL D’ELSA. Group airport transfers, first class hotel with private bath, breakfast and dinner daily, ETCS Travel Preparation and Sightseeing Documents, entrances to all planned sights and myself as private guide and translator are included. MAXIMUM NUMBER OF TRAVELERS IS ONLY 8-10. March 31. Transatlantic flight to Italy. April 1. Arrival in Italy and transfer to Volterra. Relax this afternoon, enjoy the beautiful vistas of the valley from the town’s terrace, relax and have a glass of wine. April 2. Today we will visit the Etruscan Museum, finest of its kind in Europe. This is the civilization that helped spur Rome to become the great republic and empire that it would eventually become. Later we visit the Porta del Arco, one of the first arches in the world. April 3. We will stroll around the town and visit the ancient Roman Forum and Amphitheater, dating from 10AD. This afternoon we will have a tasting of some of the many products of Tuscany. April 4. The day begins with a visit to the Volterra Pinokothek, the gallery with exquisite paintings from the Medieval through the Renaissance periods. This afternoon, join an optional TUSCAN COOKING CLASS if you wish, or relax back at the hotel. April 5. 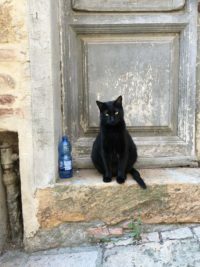 This morning, join me on this included feature to visit the city of SIENA, famous for horse racing, the Medieval main square, the fascinating and colorful Cathedral and excellent boutiques. 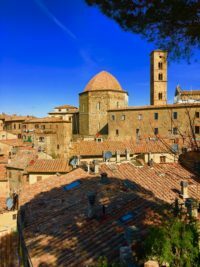 You may wish to relax in Volterra and explore the shops and cafes. April 7. Transfer to the airport for the return flight or continue to ITALY: ROME, FLORENCE & VENICE. Prices are PER PERSON sharing a room and based upon current exchange rates / costs and do not include airfare or taxes. Mike Ross Travel returnees from $1999. Early deposit $2299. Late deposit $2499. Single supplement $459. PAYMENTS: $1500 p/p deposit with REGISTRATION FORM on website. Make check payable to ETCS, Inc., 922 Oak Grover Road, Jackson MI 49203. Balance due 90 days prior to departure. See TERMS & CONDITIONS on the web site. Call Mike at 517-782-6847, toll free 877-845-4763, send an e-mail to Mike@mikerosstravel.com or visit us on the web at www.mikerosstravel.com.